Discovering Stand Up Paddleboarding (SUP) about ten years ago, Nancy Vincent probably didn’t have any clue about the impact it would have on her life. Fast forward to today, she is running SUP Westchester out of Mamaroneck, NY. She’s making it possible for people of all ages to participate in SUP, get out on the water and appreciate the clean outdoor lifestyle. Not only does she run a budding business, but she places a strong emphasis on the environment and keeping the Long Island Sound Clean, partnering with local charities and organizations in order to push forth those efforts. Spending the summer outdoors while cleaning up the waters sounds like an ideal situation, and Nancy Vincent has mastered it. Where did you grow up? Tell me a little bit about your upbringing and what you enjoyed doing as a kid. I am a native of Westchester County growing up in Briarcliff Manor. I’m one of 6 kids, so our house was a little crazy with a lot going on pretty much all of the time. Although hectic, I wouldn’t have traded it for anything in the world - I had a great childhood. From a young age, I loved to be outside; swimming, playing, and pretty much anything that involved the water. As a family, we always spent our summers around the water; mostly swimming and playing in the Long Island Sound at a beach club we belonged to in Rye. It’s fond memories like those that really make me appreciate the area and a childhood that placed an emphasis on getting outside and getting active. Did you always have the passion for an active lifestyle? What kind of activities would you do? Definitely. I can’t remember a time in my life where I wasn’t active. I started swimming competitively pretty much since I learned how to swim and I kept that up through my teenage years. After college, I found my way into the triathlon circuit and really enjoyed combining swimming with biking and running. Anything to get me outside while still exercising sounded good to me, so I ran with it. Finally, after years of pounding the pavement, I decided it was time to stay active without being so hard on my body. Did environmental issues and pollution interest you at all, as a kid? Not really. At least not to the point where I was driven to make a conscious effort to do something about it. As a kid at that time, you really didn’t think of all the issues that were current in terms of environmental health and safety. I do remember the Sound being too dirty and not safe to swim in some days, but that was pretty much it - we just didn’t have much exposure to the issues and how prevalent it was. I do remember when I was 10 or 11 and I noticed all of this medical waste wash up on shore, to this day I can’t comprehend why anyone in their right mind would want to dump needles and waste into the waterways. Fair Harbor is committed to a clean lifestyle by creating clothing and accessories out of recycled plastic bottles, do you relate to this issue and see a need for a cleaner environment in this area? When I learned about Fair Harbor, I was hooked! I think what they’re doing is fantastic! The fact that it’s a local company makes it even better. Being on the water all summer, you would be shocked at what my staff and I pick up while out on the SUPs. Plastic water bottles, aluminum cans, plastic bags, styrofoam cups, plates...you name it, we have found it floating in the Sound. The worst offender by far is the plastic bottles - it’s almost as if it’s never-ending. I think it’s awesome that Fair Harbor is taking this plastic and making swimwear and clothing from it. Hopefully more companies out there can be inspired by Fair Harbor and urge others to make an impact with business ventures and ideas. Okay, now onto paddleboarding. When did you first try SUP? Where and with who did you have the opportunity? I first tried SUP about 9 or 10 years ago. My husband and I were on vacation with our kids who were much younger at the time. I remember looking out on the water and seeing this couple paddling along going back and forth in front of us. It looked fun and it appeared as though they were really enjoying it. It was almost as if we were hooked that instant, so when we got home we immediately ordered our first board, I have been paddling ever since. It seems as though SUP is exploding in the Southern-Westchester Area – what do you think drove that? People are so active in this area and they love to be outside. Most people love to be out on the water or around it, which is why they live around here in the first place. There’s something so serene about being out there and being surrounded on all sides by this vast body of water; it’s calming to the soul. I think SUP would have caught on a lot earlier if we had better water access and warmer winters. This area is also very different than other parts of the country in that it’s hard to have access to the waterways, unless you belong to a private club or have a waterfront property. Now that there is some access and the situation is getting better, SUP has just started exploding in popularity. I think it’s only going to keep growing in the years to come. The Long Island Sound is a huge playground pretty much right in our backyard and there’s so many different ways to engage with it and enjoy it. Where is SUP Westchester located? SUP Westchester is located in Harbor Island Park in Mamaroneck. Tell me about SUP Westchester and the kind of services and products you offer? We offer both group and private paddleboarding classes. Everything from Intro to SUP, river tours, SUPFIT, SUP Yoga, Family Classes, Kids Camps and new this year we added kayaking tours. I’m a mom of three, so naturally we are a very family-oriented company and love getting everyone out on the water doing something fun. Plus SUP is a great workout! Our website has everything we offer, so go on and check it out! How do you market yourselves? Did you have help or was it just you to begin with? It’s really just been word of mouth and posting on Facebook or other social media. Social Media makes it so easy to have a voice and cast a wide net to family and friends. It’s great for marketing our product, but it also helps our customers reach out to us to let us know how we’re doing. Setting up a personal network full of family and friends is also important because that helps as well - they are going to be your first customers, so you might as well keep them around! Would you consider yourself an entrepreneur? Did you model your business after something you’ve seen in another area? I’m not really sure if I would consider myself an entrepreneur. I don’t want to get ahead of myself, so I’m just taking it day by day. All I’m trying to do is take something I love and share it with as many people as possible. It’s less about growing a business and more about getting people out on the water to enjoy SUP and the lifestyle that goes with it. Last year, I was fortunate enough to have SUP Westchester in Harbor Island Park. It wasn’t that planned out, I kind of just went for it - I guess you could say it takes some groundwork and a little bit of luck. Harbor Island has been the perfect location; before that, I was working out of my Suburban for 2 years, so you can imagine how limited that was with what I could offer. Let me tell you, SUP Westchester’s new location has been amazing. Three years ago I started with two paddleboards and a dream, today we have about thirty-three boards. You have been a trailblazer in cleaning up the sound. Can you tell me about the “This Drain Leads to the Sound” Project? Didn’t you place stickers on drains and sewers in the area? Yes! A few years ago, I was in LA and noticed they had bright fish painted on all their storm drains. It was a part of “Heal the Bay” project out in the area. Back home, I had noticed that some of our drains had fish with no dumping signs on them, but only a small percentage of them. I really don’t think a lot of people realize that these storm drains and catch basins drain directly into the Long Island Sound. For me, it was more about bringing awareness than anything else. By labeling the drains, the hope was that people would rethink dumping if they see that it drains into the waterways that we know and love. I went to Save the Sound with the idea, fundraised for it, and they created the medallion for me. With a little bit of groundwork and help with dedicated volunteers (mostly children), we have labeled almost 500 drains in the area! SUP Westchester works closely with Save the Sound in Connecticut – how does that relationship work? Do you run events together? Save the Sound is a great organization and they have been a huge supporter of our success over the years. We had similar mission statements and interests, so our relationship just organically happened. We run the “Paddle Across the Sound” together for Save the Sound which we started as a fundraiser for them two years ago. This summer will be our 3rd and biggest one yet. The event is getting bigger and bigger every year which is amazing and encouraging for the future. Without Save the Sound, we wouldn’t be able to enjoy the waterways in the way that we do. It’s our responsibility to help protect the environment for future generations to enjoy.  I’m so excited that Fair Harbor is going to sponsor the event this summer! Now back to SUP, what kind of equipment do you need? You need a board, paddle, leash, PFD, whistle, dry bag for your belongings, and water. Is all of that expensive? It certainly depends on what you want to do and what you’re going to be using the paddleboard for. Obviously race boards are efficient, but expensive. You can definitely find some deals if you look hard enough and they will last for as long as you’re willing to care for them. What board do you ride? What’s your favorite? Hmmm, I’m pretty old school. I have my 4 year old 12ft Yolo board that has Dolphins painted on it and I think that’s my daily rider. I have tried the race boards before and love them, but I’m not quite ready to take on racing. It’s definitely on the horizon, but I’m not quite there yet. Do you have to be athletic or in-shape to SUP? Is it not for everyone? Not even a little bit, SUP is for everyone! I have people out on the water ranging from 8 to 75 so far. If you can stand, you can SUP! All of our boards at SUP Westchester are stable and wide for beginners. People are nervous at first but once they start moving they realize it’s not hard at all. You’re probably going to fall at some point, but once you get those out of the way, you’ll get the hang of it and enjoy it for years to come! We understand that SUP is a very seasonal activity – especially in this area, what do you do in the Fall, Winter and Spring? How do you maintain an active lifestyle? I have been lucky the last few years where I have continued to be on the water in November, can you believe it? The Sound is still really warm! In my off season I am a Hot Hiit instructor in Rye. I also take yoga and cycling classes. Nancy, this has been awesome. Anything else you might want to mention? Thank you for the opportunity, Fair Harbor!